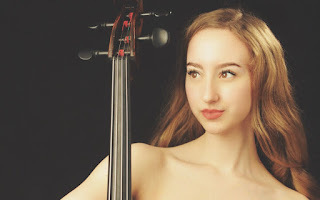 Tessa Seymour, 22, is a New York City-based cellist. Accepted to the Curtis Institute of Music at age 16, she studied with Carter Brey, principal cello of the New York Philharmonic and Peter Wiley of the Guarneri Quartet. Ms. Seymour held the Jack Kent Cooke Fellowship at Curtis. Ms. Seymour made her televised Carnegie Hall debut in 2007 and has performed at the Bill Graham Civic Auditorium for the Dalai Lama. She performed at Beijing’s Central Conservatory of Music and has appeared as concerto soloist with the St. John’s Chamber Orchestra, Modesto Symphony Orchestra, Fort Wayne Philharmonic, Curtis Symphony Orchestra, and Prometheus Symphony Orchestra, among others. She is a recipient of the Jack Kent Cooke Young Artist Award. Ms. Seymour has received first prizes in the American String Teachers Association competition, Felix Khuner Concerto Competition, Pacific Musical Society Annual Competition, and Stewart Brady Competition. She won the San Francisco Symphony Youth Orchestra’s 2007 Concerto Competition, which included a performance at Davies Symphony Hall. She was also selected to compete in the Concours de violoncelle Rostropovitch 2009 in Paris. Ms. Seymour has studied at many distinguished summer festivals including the Yellow Barn Music School and Festival, masterclasses at the Académie de Villecroze in France, and Académie Musicale de Morges in Switzerland. In the summer of 2009, she attended the Verbier Festival Academy and won the Festival’s Jean-Nicolas Firmenich Prize for cello. She also performed in the Verbier Festival as well as the Napa Valley’s Festival del Sole. Ms. Seymour was a member of the Luna Trio, who performed on NPR’s From the Top in 2004. 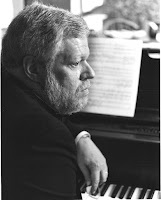 Before entering Curtis, she studied with Jean-Michel Fonteneau in the Preparatory Division at the San Francisco Conservatory of Music. Recent performances include a concert at Washington DC’s Kennedy Center, as well as the U.S. Premiere performance of Polish composer Krzysztof Penderecki’s Suite for Solo Cello at Carnegie Hall. Season performances were heard on WHYY-TV, as well as WRTI radio, where she was a featured artist and host on their program, “Philadelphia Music Makers.” She has also podcasted with “The Glass Sho,” and Next Big Thing Radio’s “Conversations” and performed at TEDTalks’ TedXPenn conference. Her debut solo album is set to be released this fall. Ms. Seymour’s cello is the 1720 Carlo Giuseppe Testore “Camilla” of Milan.